There are a variety of themes and genres used in making films today. The ability of the director to make these stories unfold on the big screen can often earn them rave reviews. One of these themes is casino gambling which has also increased the overall popularity in playing casino games. With its connection to high risk and gangsters, it makes for a perfect movie plot such as can be seen in these top casino based films. 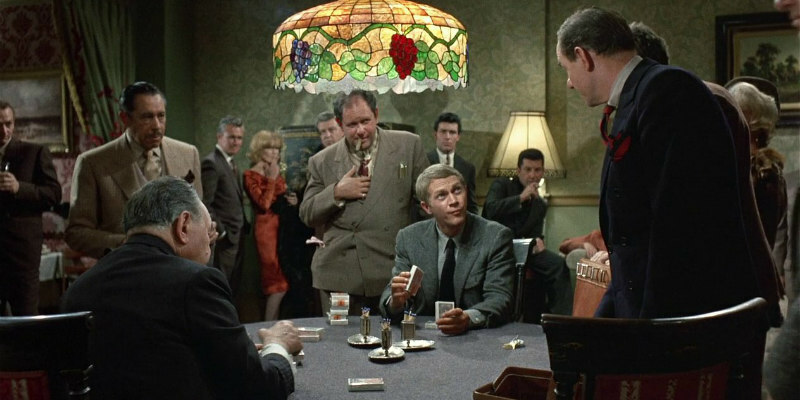 This 1965 film starred Steve McQueen as he portrayed a real life poker player, Eric Stoner. This film was unique in that it showed the emotional toll that gambling can play. Despite the movie’s age, it is still heralded as an excellent example of the pitfalls of gambling. The scene that is still the most talked about is the final poker scene which many poker experts say is almost improbable. Compared to the Cincinnati Kid, this film is much more light-hearted and humours. Austin Powers, played by Mike Myers, discovers that he can use his special powers to help him beat the house at the casino. His x-ray vision makes it possible to determine the cards coming up next in the deck. The blackjack scene is memorable for Austin’s peculiar play including staying on a count of five. This movie title refers to the poker players who make their “rounds” to various casinos playing in high stakes game. Matt Damon depicts the lead character, Mike McDermott. He decided to give up his career playing poker and attend law school. However, the thrill of the game of poker is too much to pass up and McDermott later returns to making his rounds as poker becomes his career. Given the success of casino films, there are sure to be more released in the near future. Perhaps one of these new films will experience immense popularity, overtaking one of the films on this list.